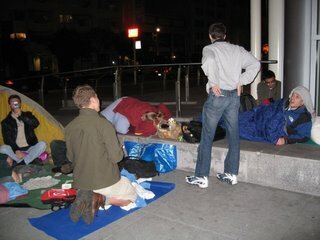 Where do you find the development team behind the Mac version of Google Earth, the night before the Macworld Expo, Yes they join the line outside to get the best keynote seats the night before. Well they get my respect!! That is real team building.. Well done Rose ! !